The Tramshed on Dylan Thomas Square, in the Marina, is also run by Swansea Museum and is usually open on bank holidays and special events (please ring the museum to check opening days and times on 01792 653763). 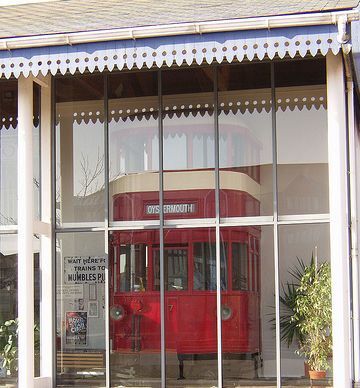 You’ll find memorabilia from the street trams of Swansea and also the world famous Mumbles train that ran around the edge of Swansea Bay from Swansea town centre to Mumbles Pier. The last surviving part of a Mumbles tram from the 1960s which you can climb inside to the top deck. Admission is free, and the ground floor is wheel chair accessible but the mezzanine and the trams are unfortunately not. For more information about the world’s first passenger railway, have a look at our Mumbles Train page.